(CNN) - An ad airing on Missouri radio attempts to rally voters against incumbent Democratic Sen. Claire McCaskill by warning that she supports "teaching about Islam" in schools. "After all, if our kids think all religions are the same, they're not likely to choose any of them," a male narrator says in the ad, a partial recording of which was reviewed by CNN. The ad then features a child in conversation with her father, saying, "But, Dad, my teacher says Christians, Jews and Muslims all worship the same God. What's wrong with that?" "What's wrong, honey, is that it's not true," her father responds. The narrator concludes by urging voters to "vote no on Claire McCaskill and her Democrat agenda. Vote yes for our children." 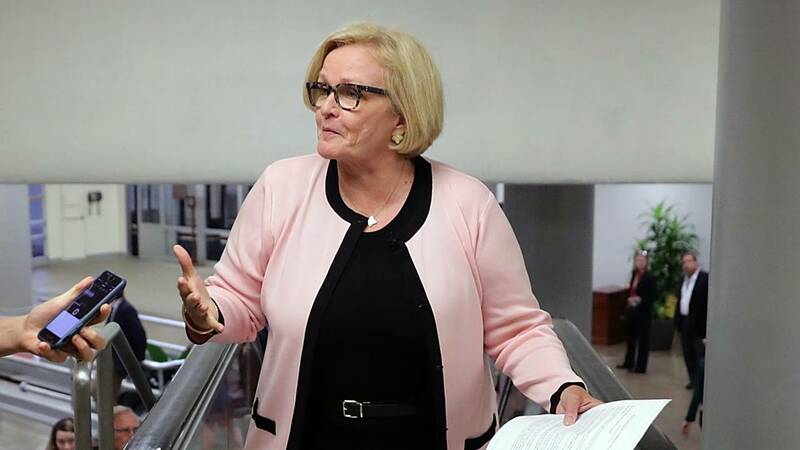 McCaskill, one of the most vulnerable Senate incumbents running for re-election this year, will face off in November against Missouri Attorney General Josh Hawley. The ad is the work of Stars and Stripes Forever PAC, which supported Ben Carson during the 2016 presidential election but has reoriented its mission to oppose Democrats in the midterm elections. The PAC's chairman, John Philip Sousa IV, confirmed the substance of the ad to CNN and defended it, saying, "Most good Americans don't want Islam taught in American public schools and Christianity thrown out of public schools." "Why should we allow Islamicism to be taught?" he added. The ad is part of $23,557 Sousa's group has spent on anti-McCaskill advertising so far this cycle, according to the Federal Election Commission. Stars and Stripes Forever is also airing radio spots on other subjects in Missouri, in addition to ads in several other states, Sousa said. Meira Bernstein, a spokesperson for McCaskill's campaign, said in response to the ad: "The effort for Josh Hawley has been full of ugly and false attacks. It would be nice if Josh Hawley would stand up and condemn this ad for what it is." Hawley's campaign did not respond to a request for comment. By law, his campaign would not have been allowed to coordinate with Sousa's group, including influencing the content of the group's advertising or its buying strategy. "I have no idea how he (Hawley) feels about it," Sousa said. "He may like the ad, he may hate it." It's unclear what, if any, specific policy the ad is referring to. But the ad is intended to benefit Hawley's Senate bid, Sousa said: "It's to get people not to vote for McCaskill, and presumably that will either help his campaign by people voting for him or staying home and not voting." Asked whether he had considered that the ad might reflect negatively on Hawley, Sousa dismissed the idea. "No," he said. "Why would it?"